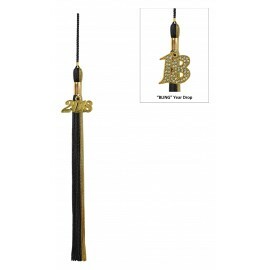 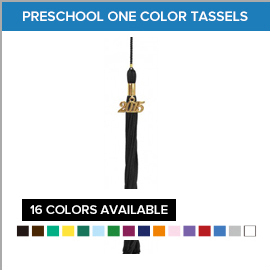 It's now easier than ever to purchase pre-school graduation tassels offline or online only at Gradshop.com. 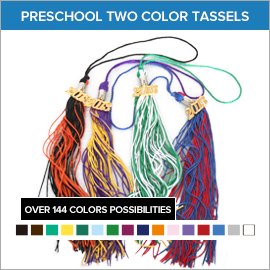 Our amazing pre-school graduation tassels come in four wonderful varieties, the first of which is the pre-school single color tassel. 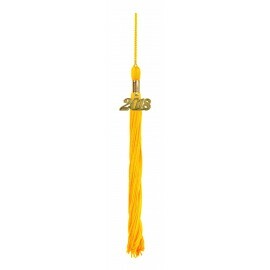 The two and three color pre-school graduation tassels are a fantastic means by which to express your color choices. 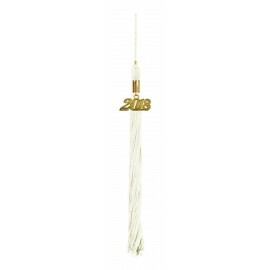 If you want a unique design or make for your graduation tassel, we can customize it for you to ensure it meets your discriminating taste. 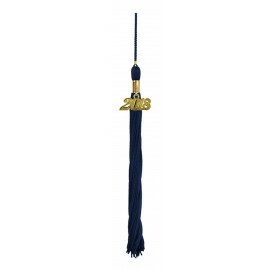 Avail our unbelievable discounts whenever you buy our preschool graduation tassels in bulk or in combination with a preschool graduation gown and cap. If you're looking for affordable top quality gowns and caps, get in touch with us today!